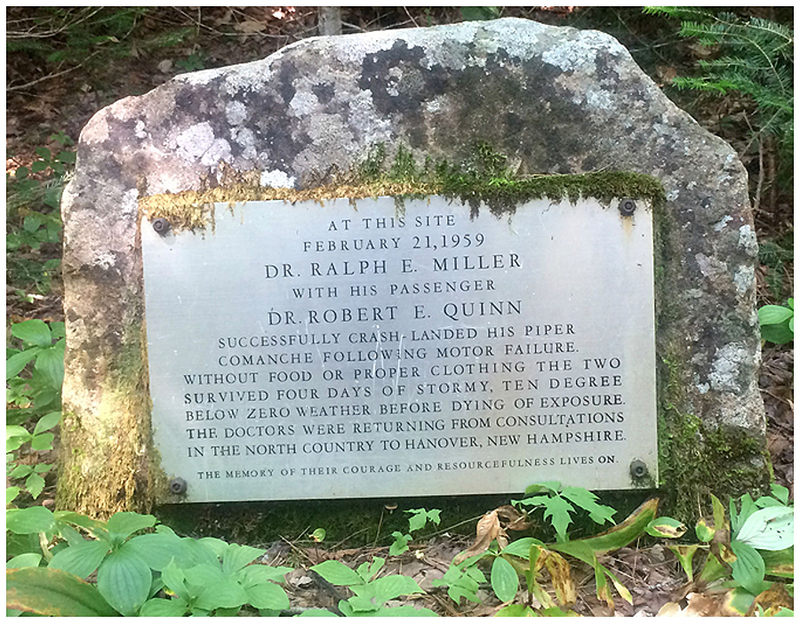 - On February 21st, 1959 two doctors, Ralph Miller and Robert Quinn, where involved in a plane crash deep in the Pemigewasset Wilderness. They survived for four days before succumbing to the extreme winter conditions. They left a journal of their struggle to survive which was found shortly after their plane was finally spotted more two months later on May 5th (click here to read the full story). 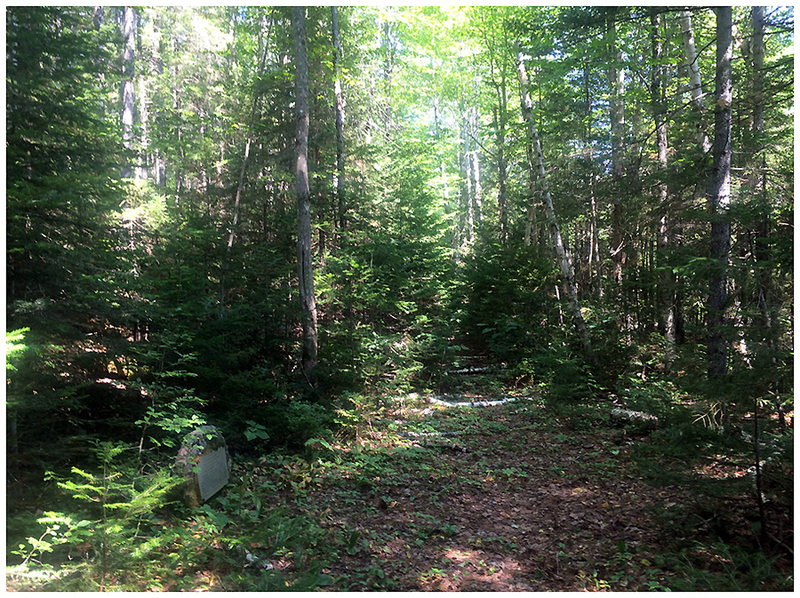 - Their plane crashed on the Throeau Falls Trail halfway between the Wilderness Trail and the Ethan Pond Trail on the old railroad grade a few tenths of a mile south of Jumping Brook. 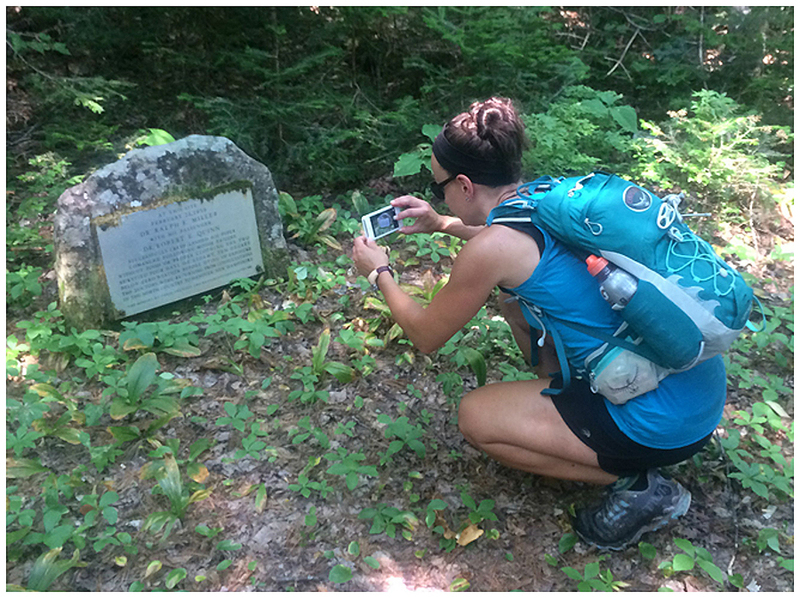 A memorial plaque was set up at the site of the crash on a short stretch of trail (0.6 miles) between two water crossings on the west side of the North Fork. 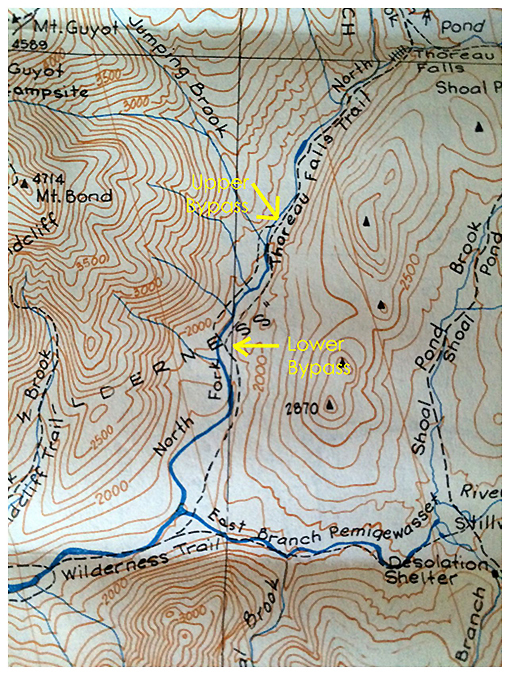 Some time between 1972 and 1976 a high water bypass trail was created that avoided the two crossing and stayed to the east of the North Fork. 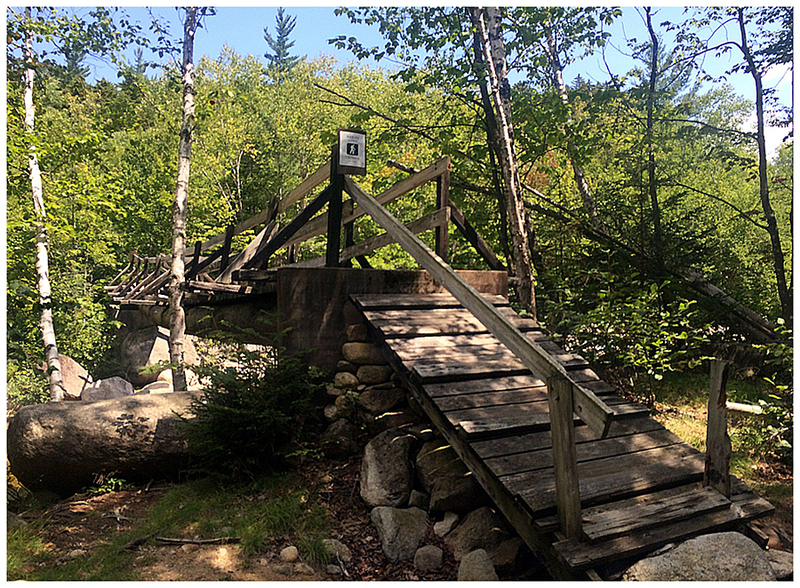 Eventually in the 1980's the bypass became the trail proper and the 0.6 mile section on the west side of the North Fork was abandoned and the plaque was no longer mentioned in the A.M.C White Mountain Guide. 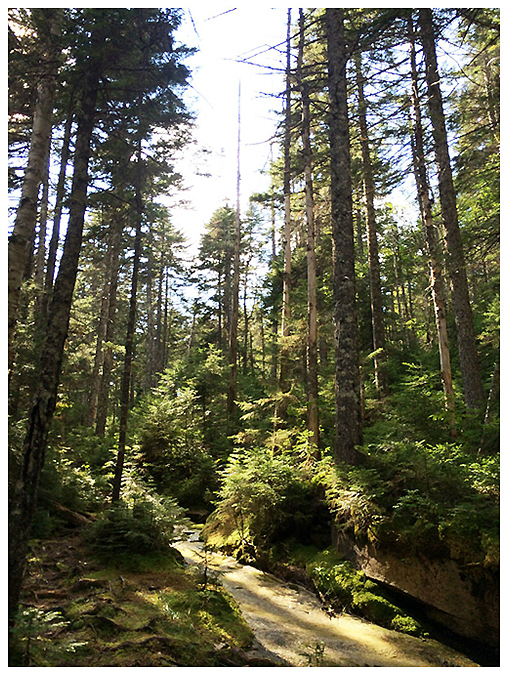 - The first time I ever hiked the Thoreau Falls Trail in 2010 I actually lost the trail for a few hundred feet at the spot where the old trail crossed back over the North Fork, I remember dropping down to the river and spotting a railroad grade across the way but decided not to check it out and go back into the woods and get back on the trail. 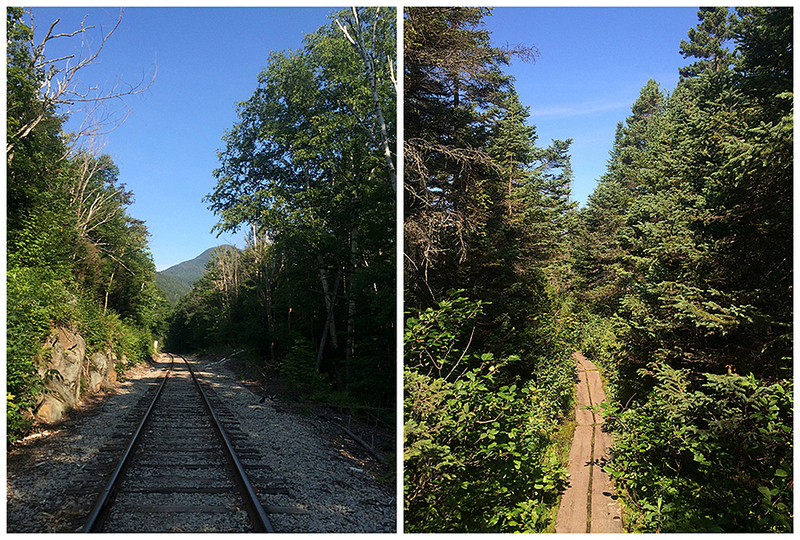 Since then I have become more comfortable with off trail exploration and fascinated with the East Branch railroad that cut through the Pemigewasset Wilderness. The railroad stopped operations in 1948 and the forest that was devastated by logging has come back with vengeance. 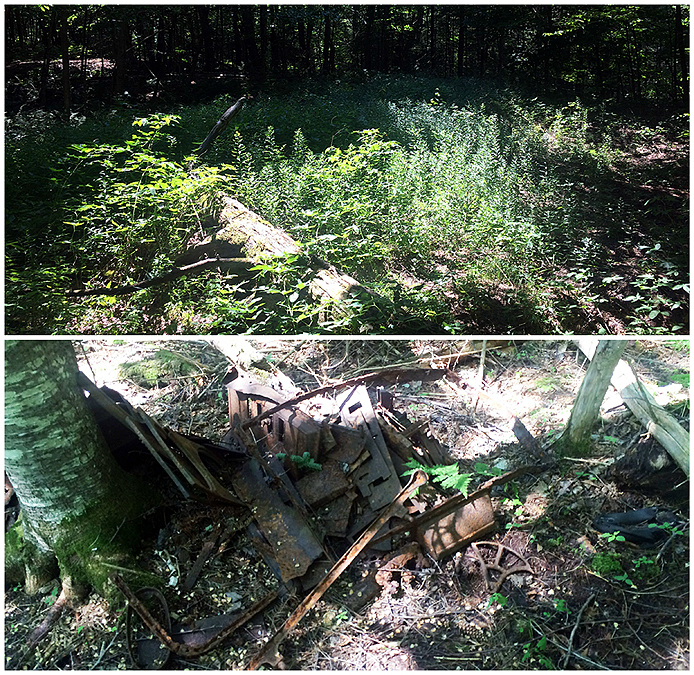 All that is left behind are trails that at times roughly follow the old railroad grades and camp clearings, some along trail, some off trail, and most have 'artifacts,' AKA railroad camp junk! 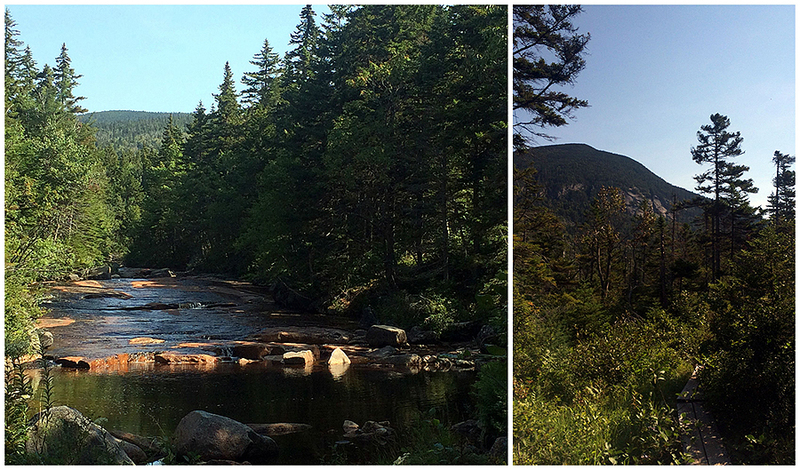 - On Sunday Whitney and I did a big traverse through the Thoreau Falls, Cedar Brook, and Hancock Notch areas. 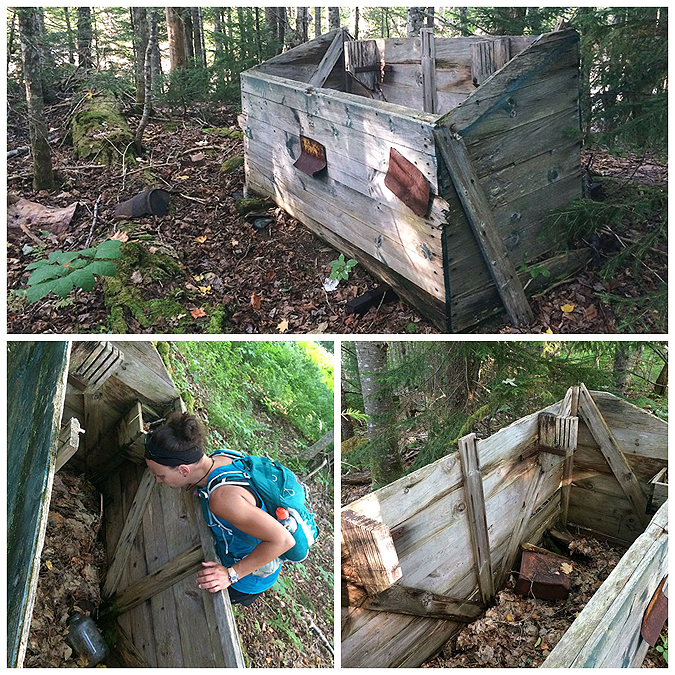 Our main goal was to find the plaque, and check out the old camps along the way. 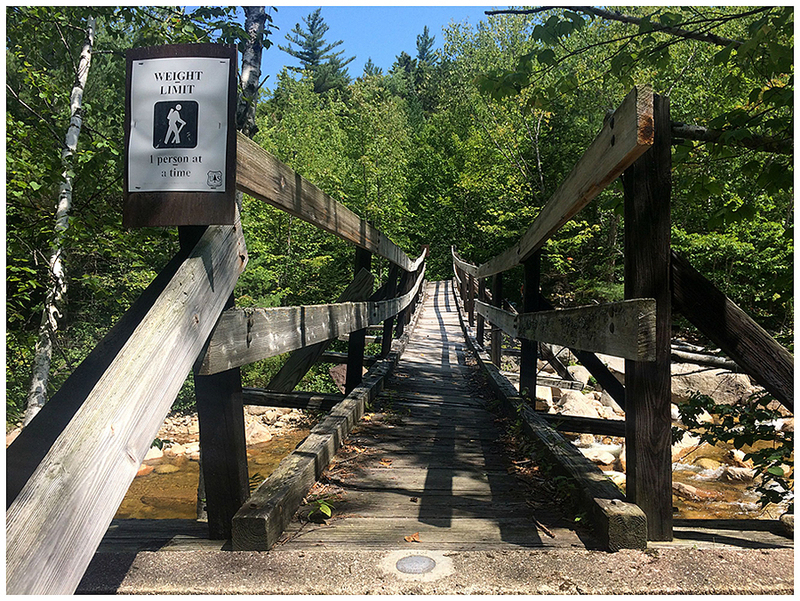 - First we had to cross the North Fork south of Jumping Brook and find the old abandoned railroad grade that used to be the Thoreau Falls Trail, to reach this point we hiked just over two miles south from the junction of the Ethan Pond Trail. 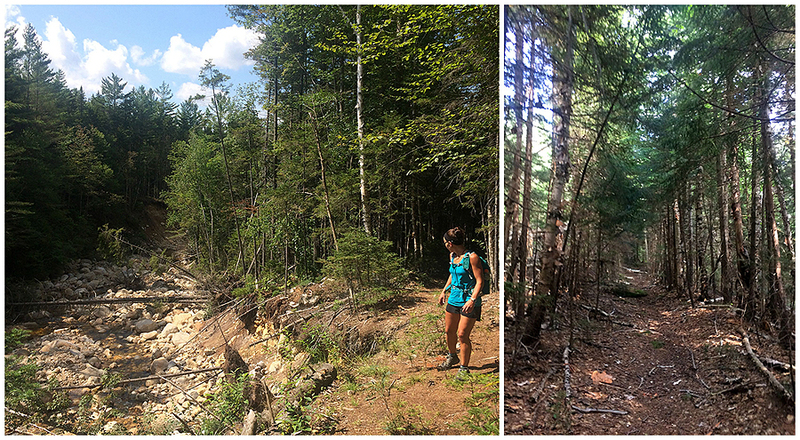 I initially wanted to cross around the spot where I lost the trail in 2010, but no dice, as it has become more of a swamp than it was before so we continued up and down the steep embankment then went out into the river when the trail dropped back next to it. 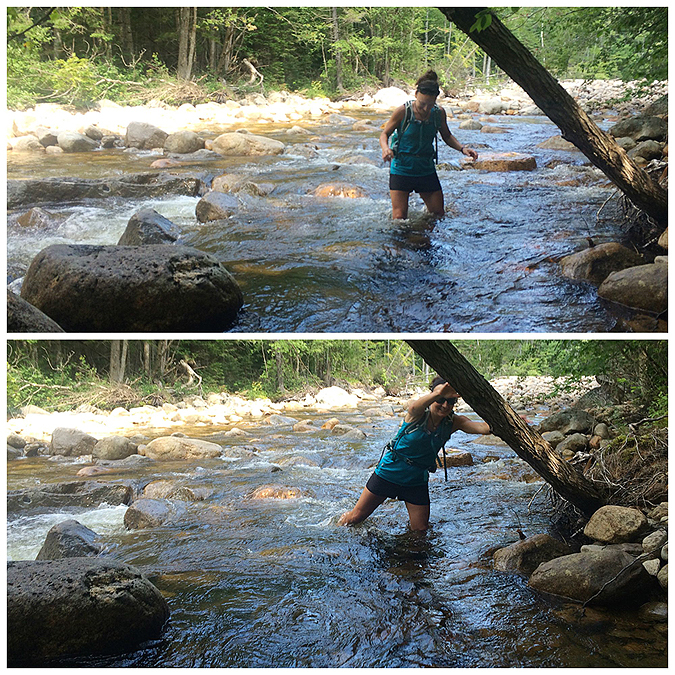 I crossed the river and quickly jumped into the woods and within twenty feet landed on the very distinguished old railroad grade, so I turned back around and recrossed and told Whitney the good news and we found a place a little upstream to cross. 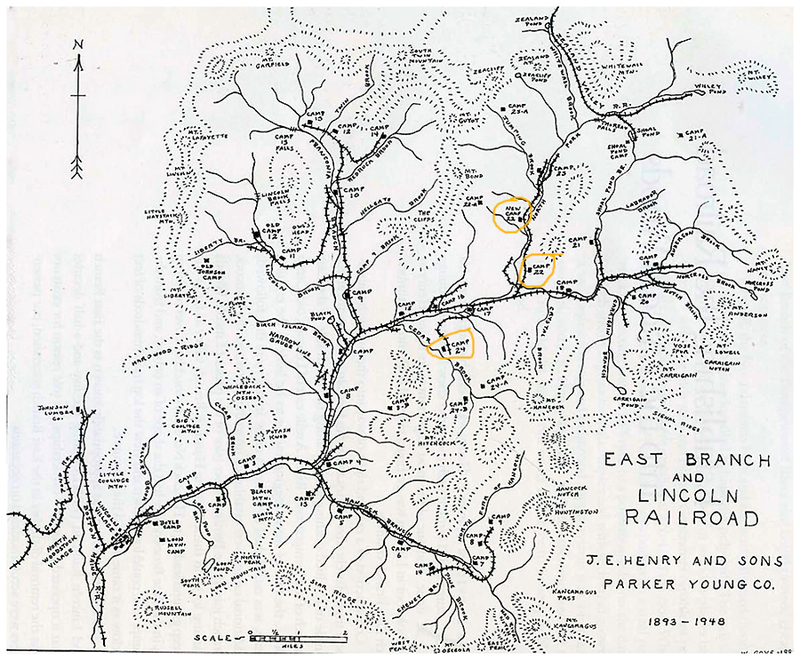 - The old railroad grade was very well defined, extremely easy to follow, and holding up well even though it hasn't received maintenance for around forty years. 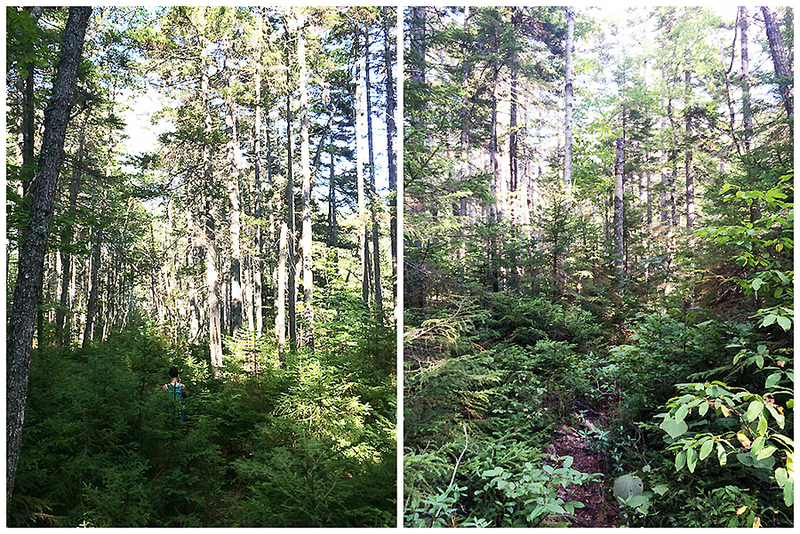 We started heading south along the grade and within five minutes we came across a tiny clearing where the plaque was. Even today, more than fifty years after the crash, the area surrounding this spot is miles away from civilization and not much has changed getting to and from this point trail wise. 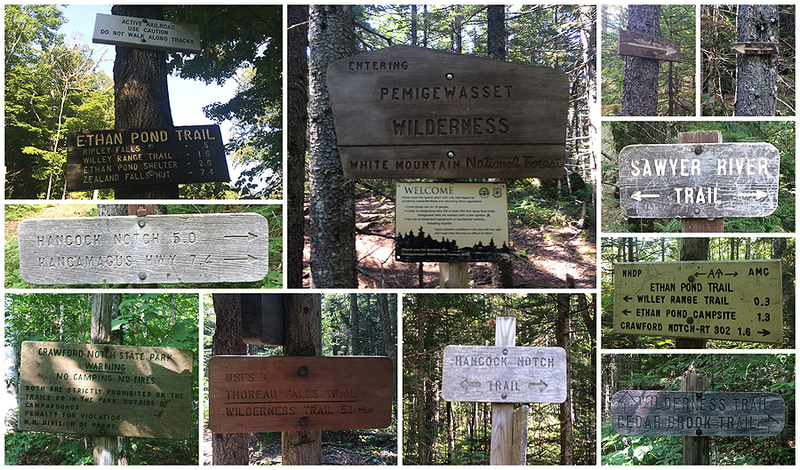 The Thoreau Falls Trail is a lightly used trail to begin with and seldom explored in the winter months. 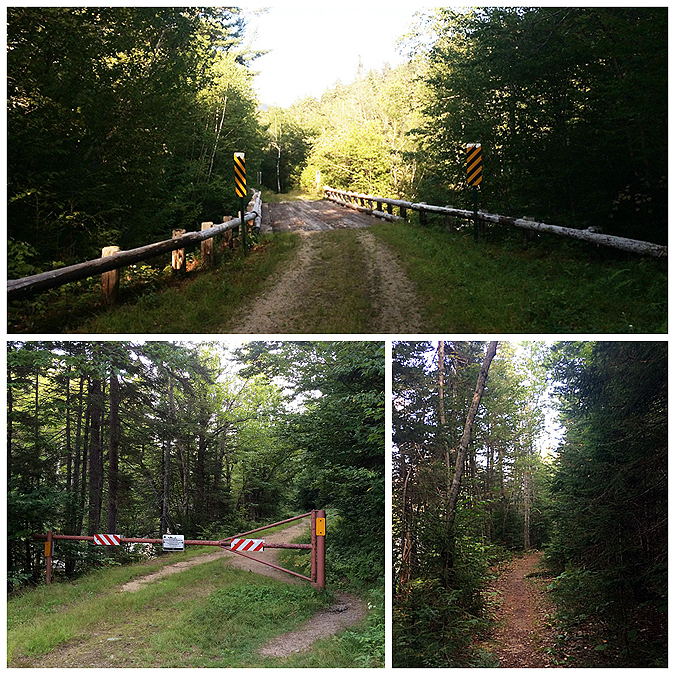 Even more so since the old East Branch suspension bridge was removed in 2010, and in the near future it will be traveled even less once the Forest Service removes the Thoreau Falls Bridge. There is definitely a very remote feeling to the area. 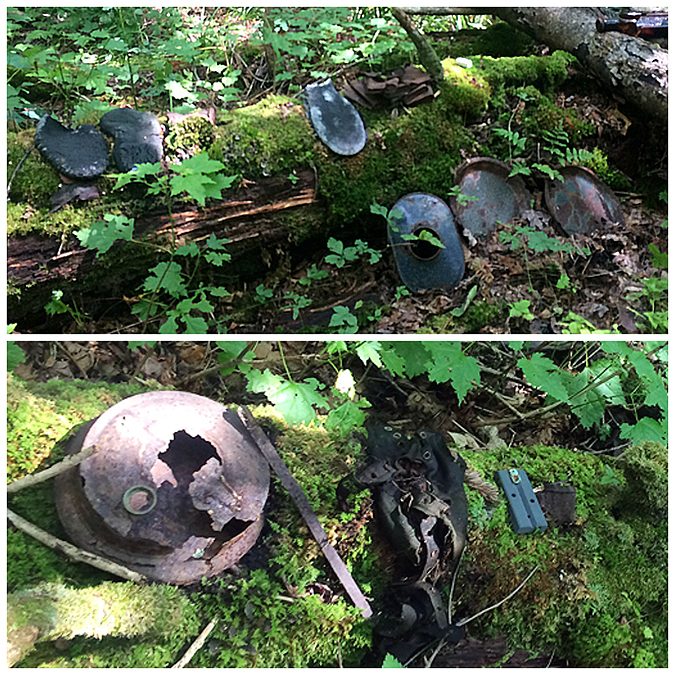 - From the memorial we stayed on the railroad grade to our next destination, New Camp 22, we easily stumbled upon this and found dozens of cool old camp items. 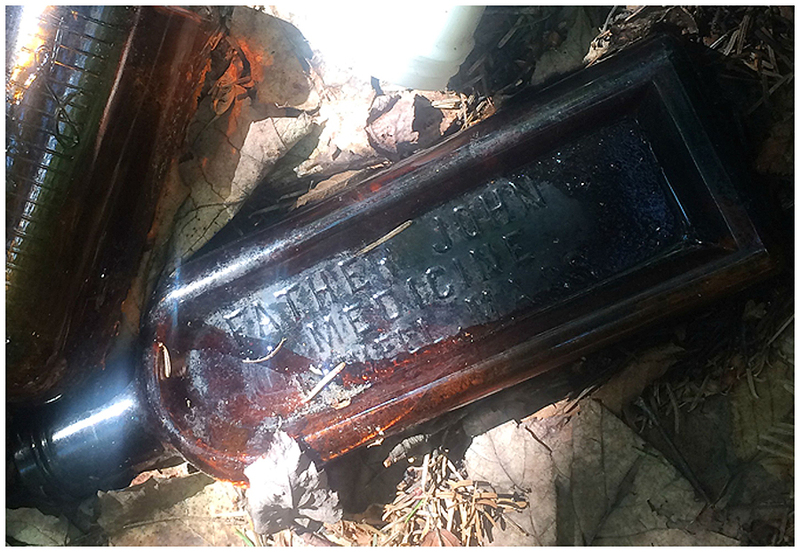 We found a medicine bottle that still had liquid in it, Father John's Medicine out of Lowell Massachusetts. 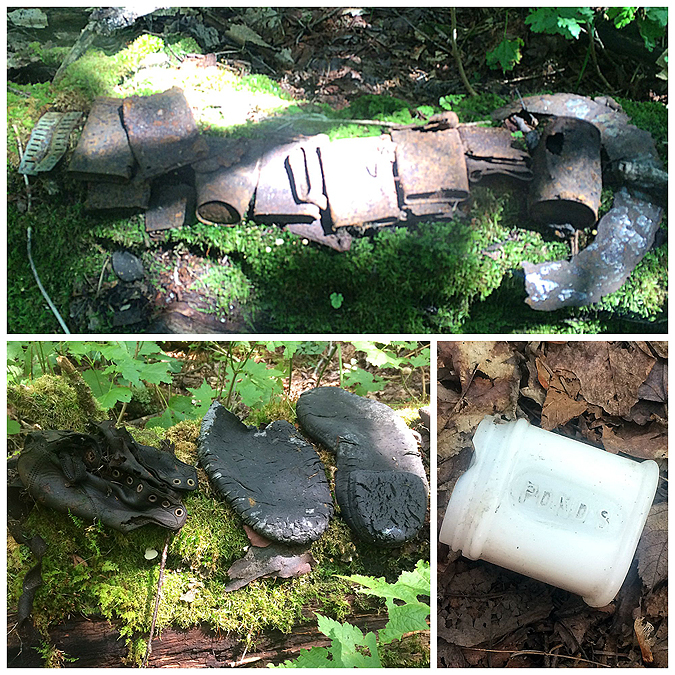 Some other cool items were an old Lysol bottle, a tiny tub that held creme, shoes, flasks, all sorts of railroad pieces, a shingle type material, concrete, asphalt, a bottle of soda or beer still sealed, cans, pots, and huge piles of bear poop, but no bear! 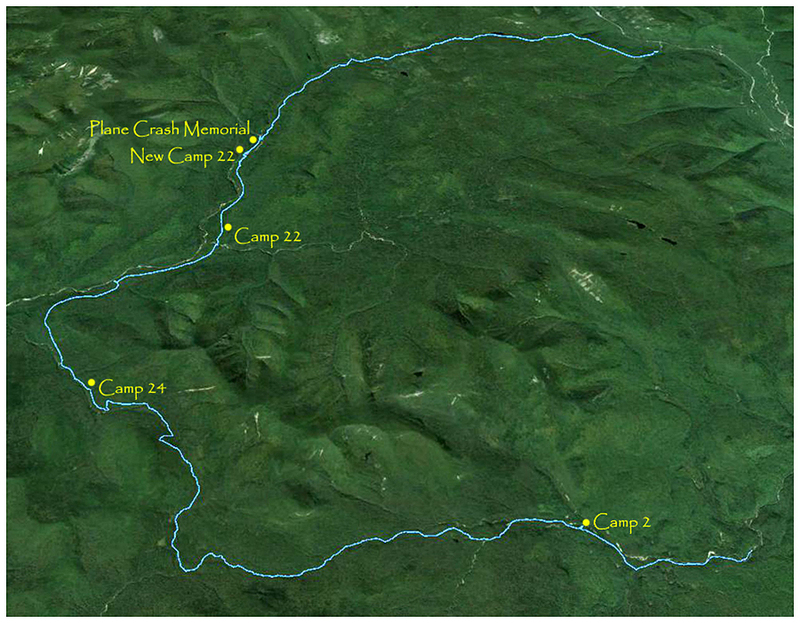 - After exploring the camp we recrossed the North Fork and hooked back onto the trail and past Camp 22. 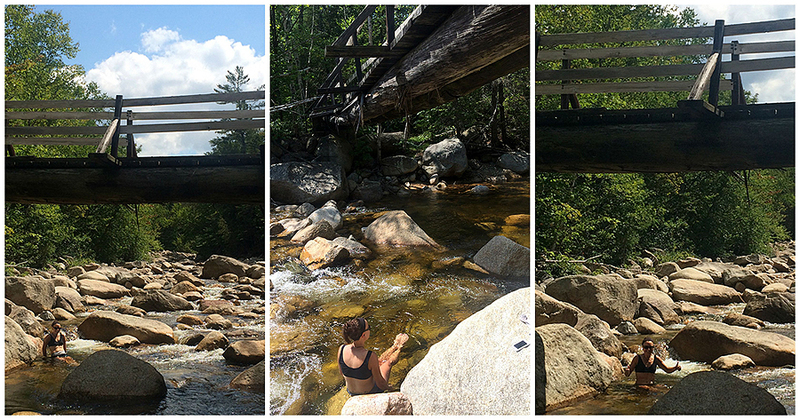 We checked out this camp extensively last fall so we just took a quick picture and headed out to the old bridge where we took a long break and went into the water to cool off. 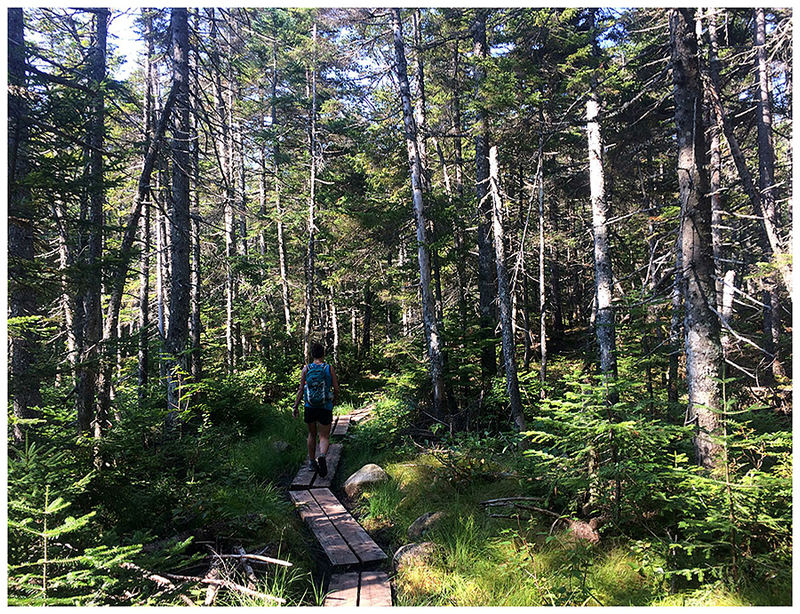 - Eventually we got back to hiking, we still had a long way to go so we picked up the pace and made our way to the Cedar Brook Trail and beat feet up to Camp 24. 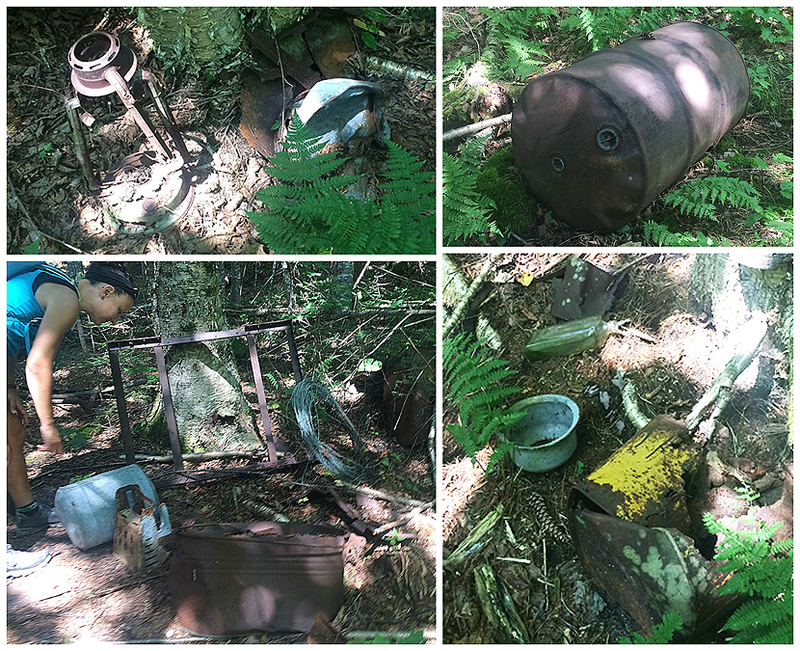 There were some pretty cool stuff here too, an old lantern, a rusted ax head, and what looked like an old mop or clothes strainer. 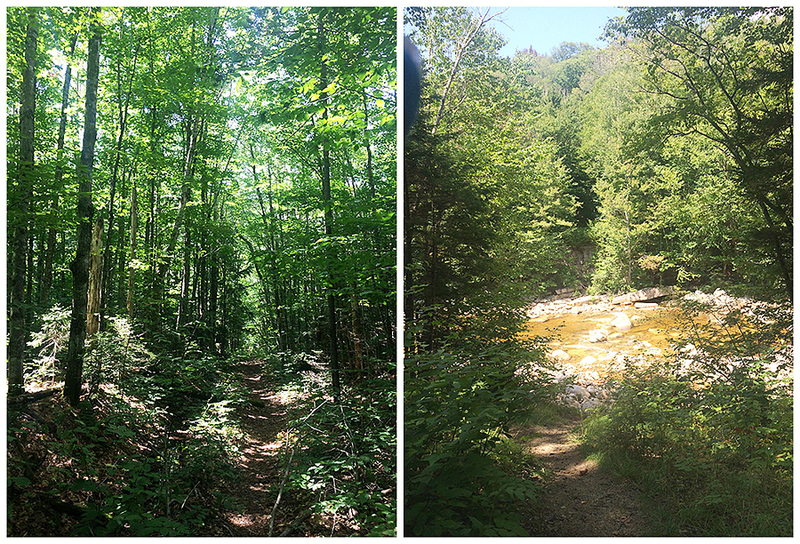 - We enjoyed the lower section of the Cedar Brook Trail approaching the height of land as the footing is great over a nice dirt path. 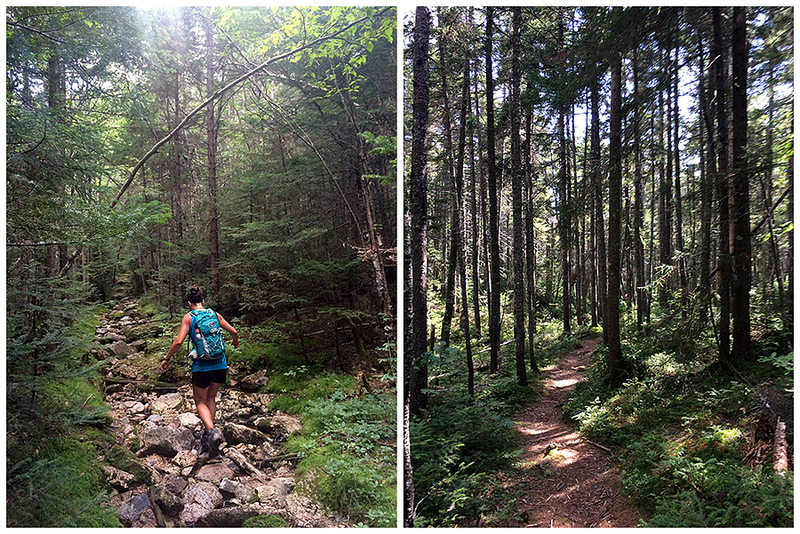 The rest of the trail, is the usual sh!t show of rocks, roots, and mud pits that makes the trail unpleasant. 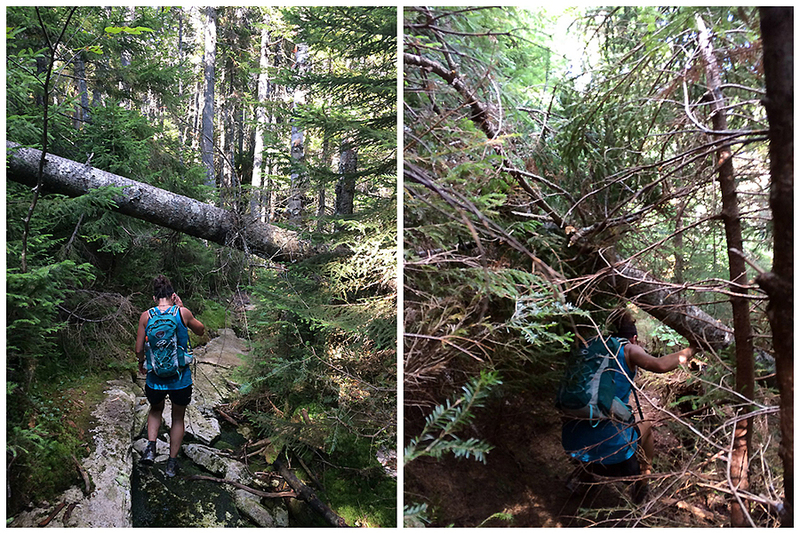 - Unluckily for us the worst was yet to come, the Hancock Notch Trail north of its height of land. Whitney referred to it as a jungle, it is severely overgrown, the footing is a downright disaster, there are no views, it smells bad in spots, there's mud with a horrible looking thin filmy layer of orange water, and it was hot and humid, so it felt like the Amazon, all that was missing was a panther stalking our every move...I loved every second of it! 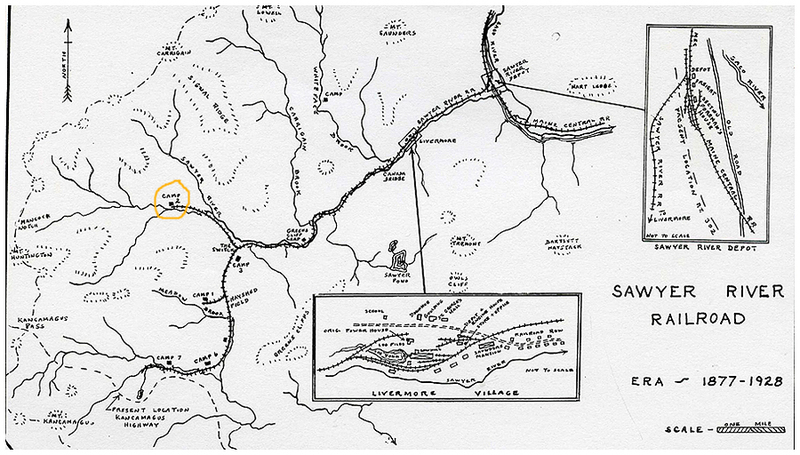 - Our last stop of the day was Camp 2 of the Sawyer River Railroad which was in operation from 1877-1928. 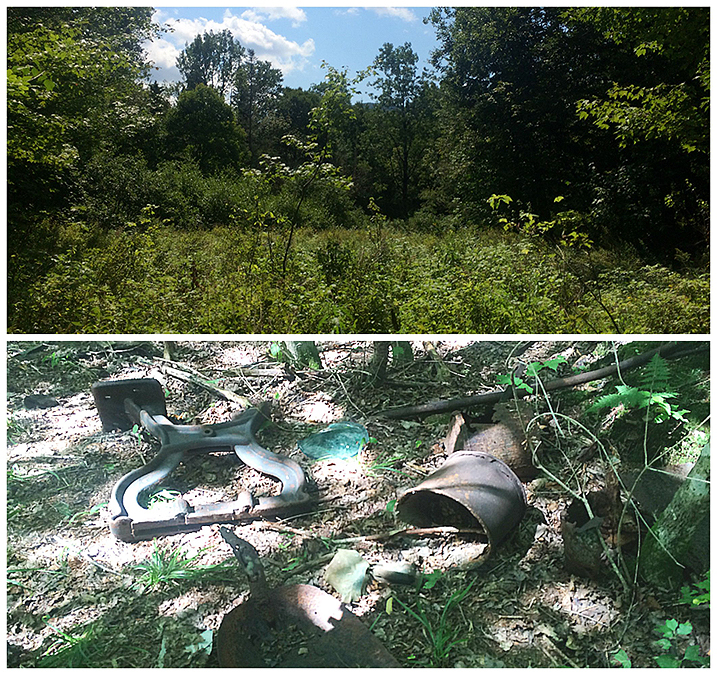 Not much is left in this overgrown clearing except and old wooden storage bin and the usual pots, pans, and railroad parts. 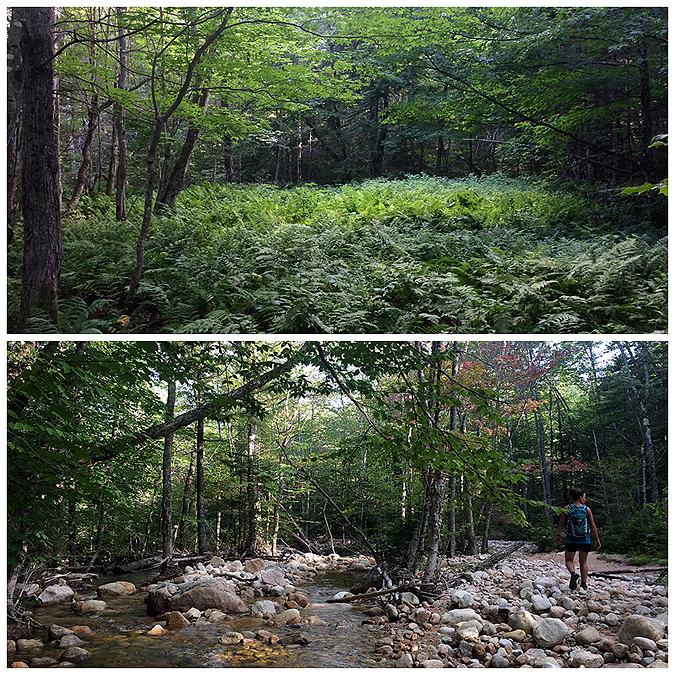 It's located right next to Sawyer River just off the Hancock Notch Trail about two miles from the end of Sawyer River Road. 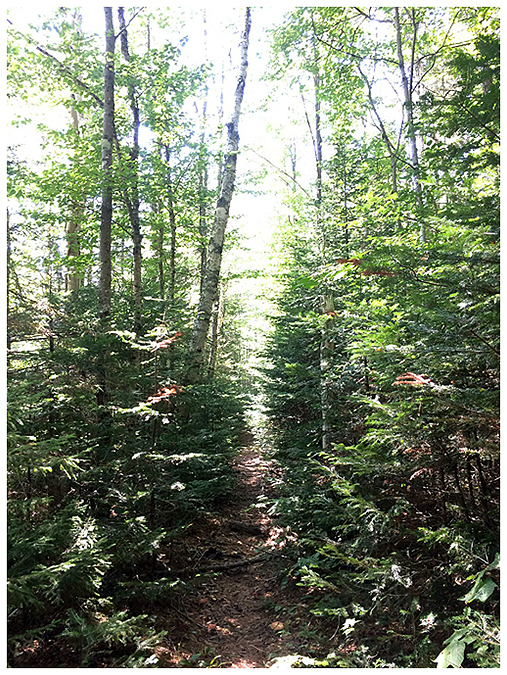 - Not long after the camp clearing we made it to my Jeep which we had spotted in the morning and drove back over to the Ethan Pond Trailhead where we started the day. Whitney and her friend Snickers did trail magic here a few weeks back and she had a lot of soda and pudding snacks left over so we stashed a cooler with all of it just up trail. 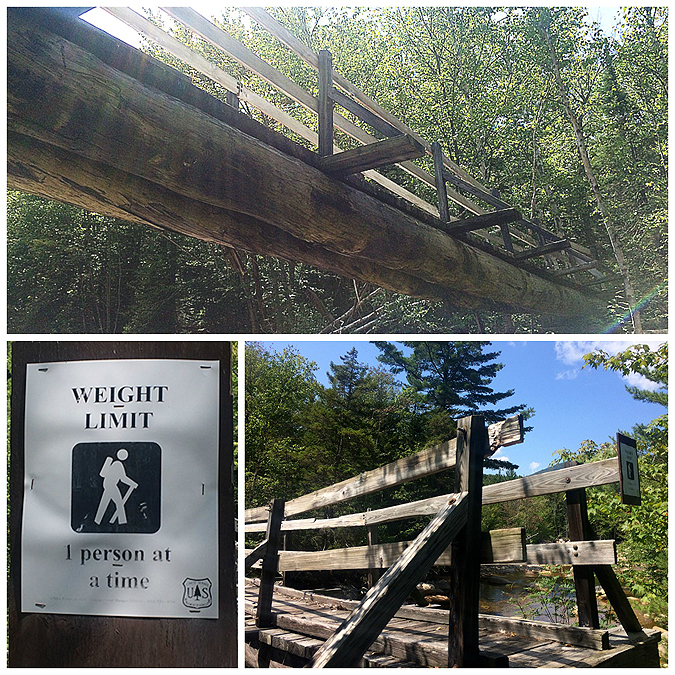 It was completely empty, hopefully the thru-hikers got most of the stuff and the fat people heading to Ripley Falls didn't bogart their trail magic! 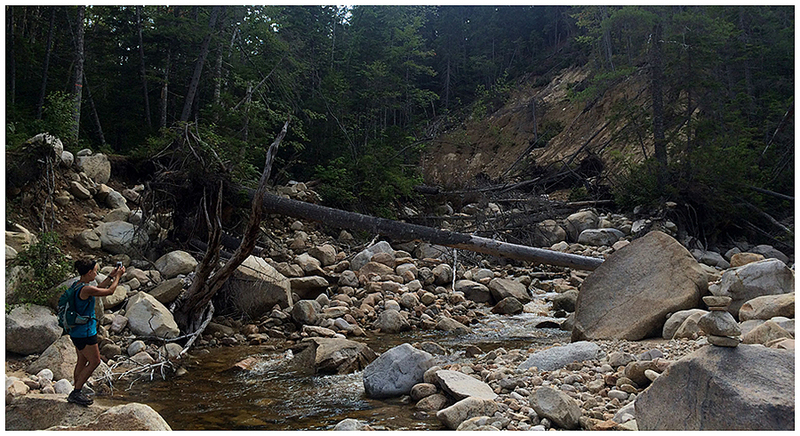 - It ended up being a fun and adventurous day and we are already looking forward to exploring more off trail camp clearings, especially Camp 23 which is north of Jumping Brook, and the elusive Camp 23-A located high upstream off Jumping Brook! At this site, February 21, 1959 - DR. Ralph E. Miller with his passenger DR. Robert E. Quinn successfully crash landed his Piper Comanche following motor failure. Without food or proper clothing the two survived four days of stormy, ten degree below zero weather before dying of exposure. 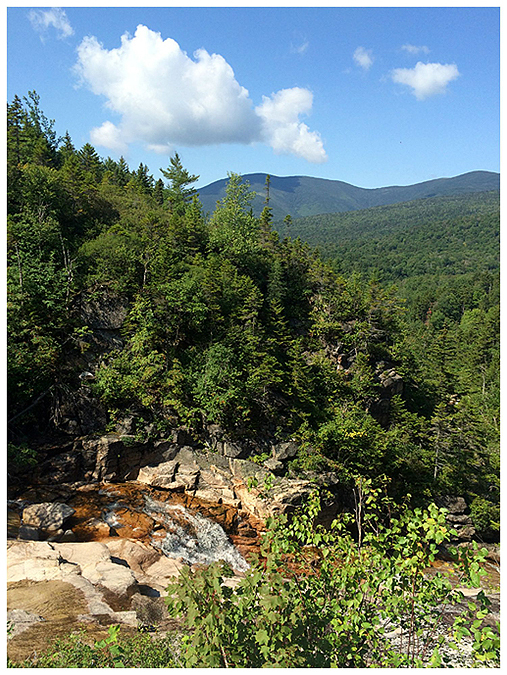 The doctors were returning home from consultations in the north country to Hanover, New Hampshire. The memory of their courage and resourcefulness lives on. 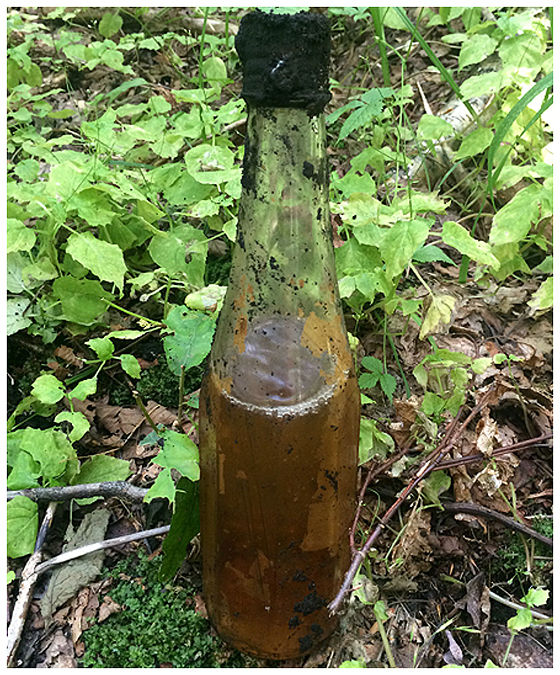 When we arrive at New Camp 22, we find a Father John's Medicine bottle with a potent smell from the liquid that is still inside! 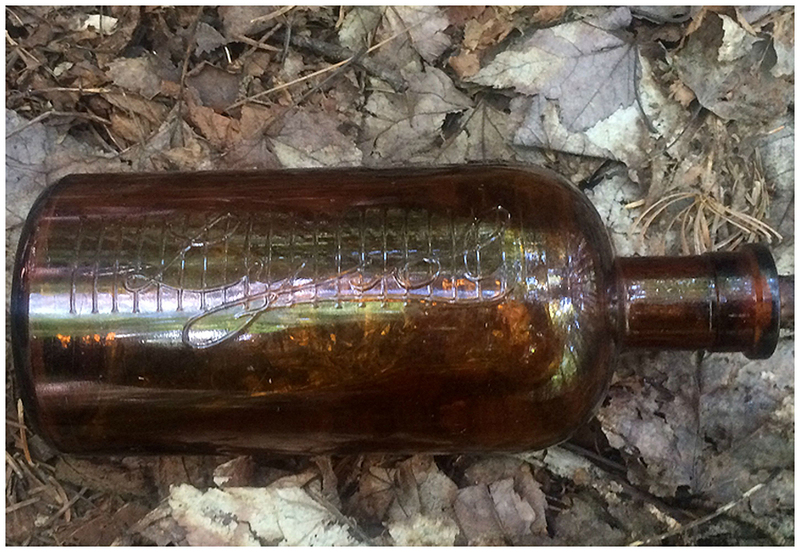 The Lysol bottle in excellent shape after being in the woods for over fifty years. It had liquid in it too and had a strong aroma! 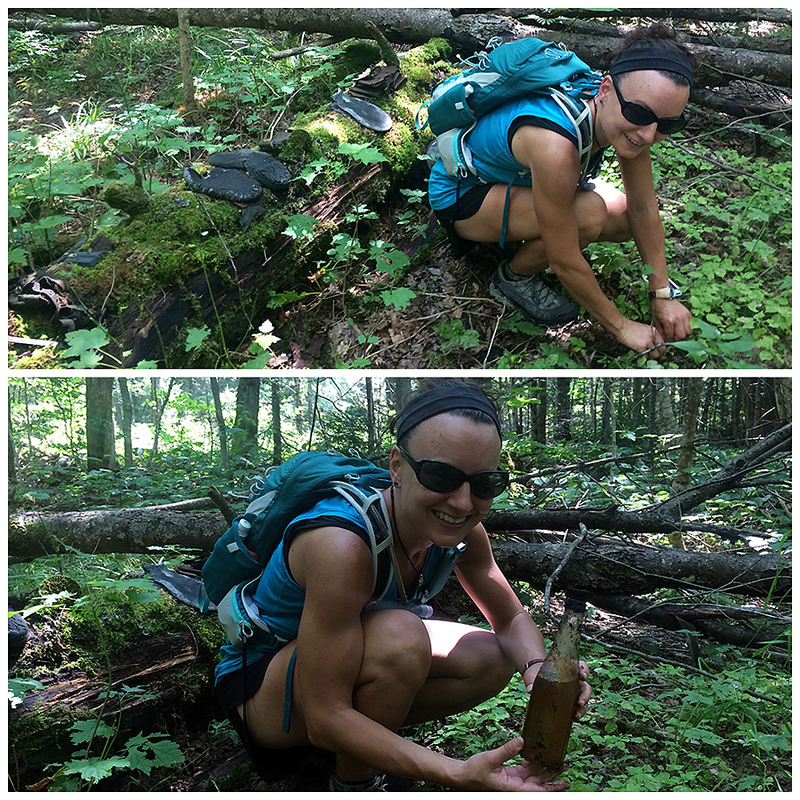 Flasks, a tub of creme, and shoes that weren't my size! Whitney unearths a soda, beer, mystery drink, who knows??!! 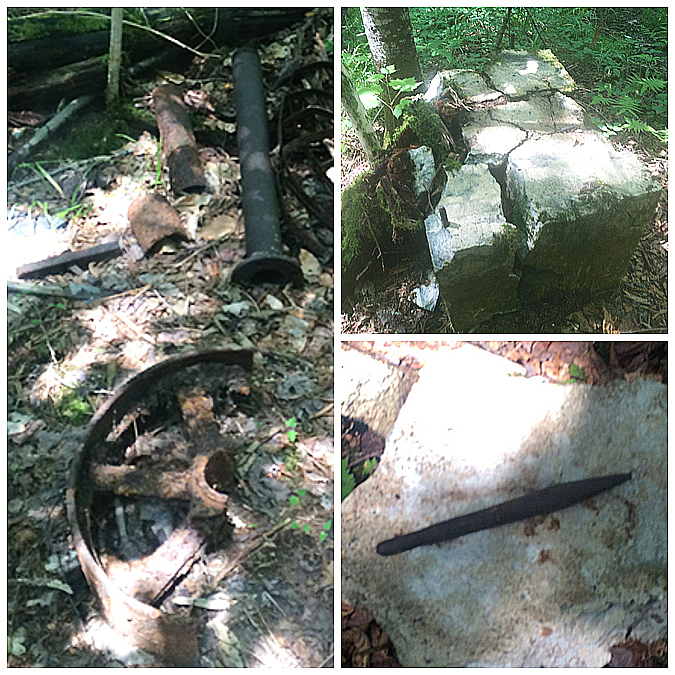 An old block foundation, a drill of some sorts, and some train parts. 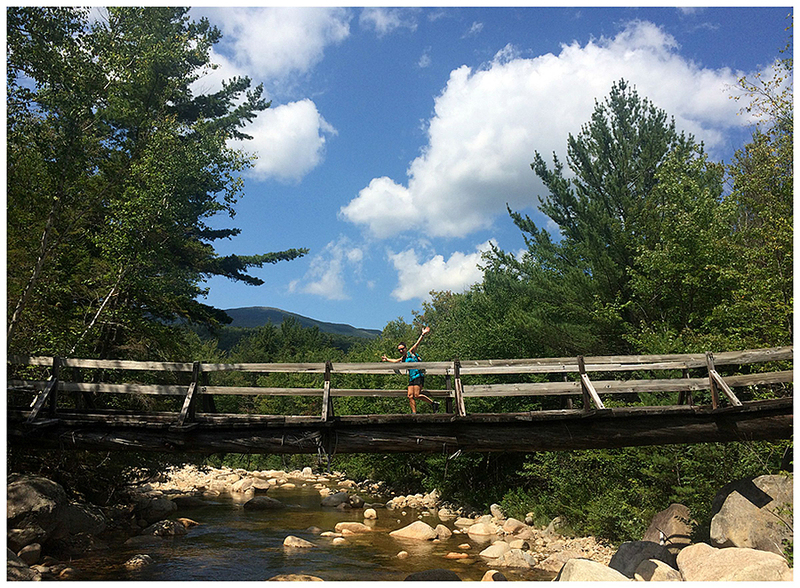 After exploring the camp we re-cross the North Fork, Whitney says the hell with it and just wades through! Whitney takes a dip and cools off. The water felt refreshing! 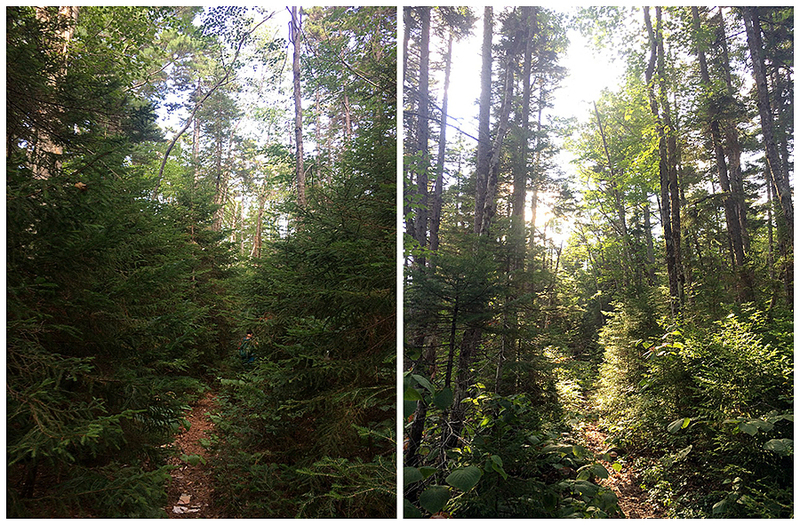 Yup, there's a trail in there! What's in the box, what's in the box??!! 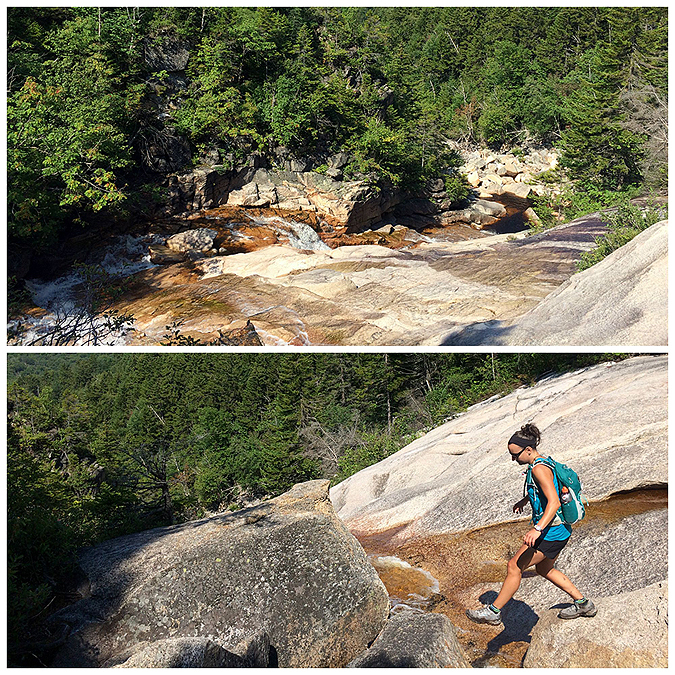 Whitney felt exactly the same way as you about the Hancock Notch Trail! We both got scratched up a lot, it's in some serious need of trail work!! 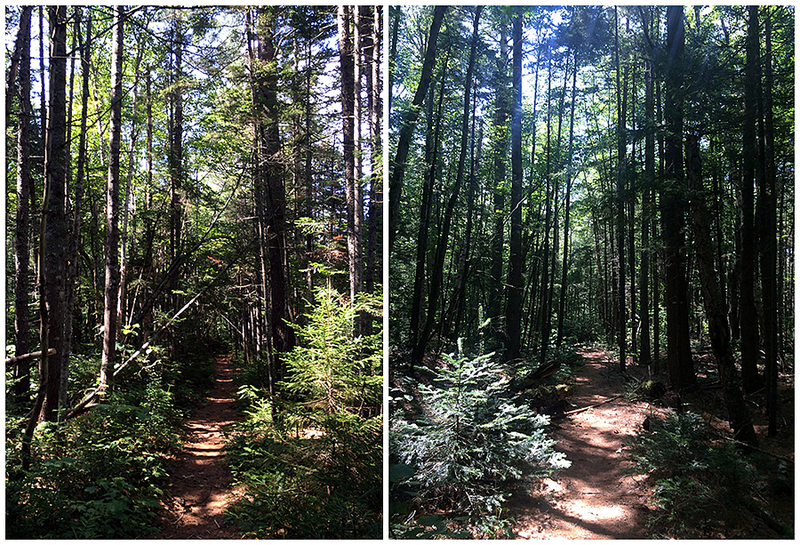 Your narrative, your photos, your maps . . . all provide remarkable documentation for this extraordinary adventure! Super impressive!